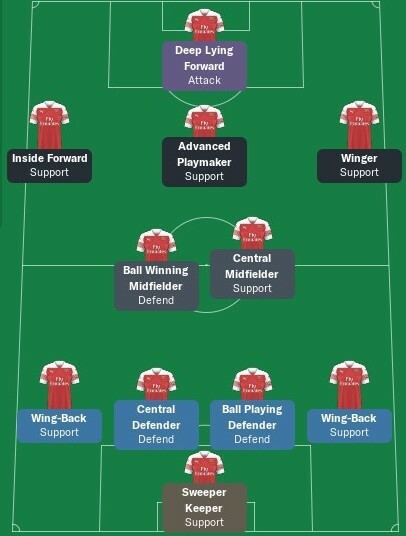 Comprehensive FM19 Arsenal FC team guide. 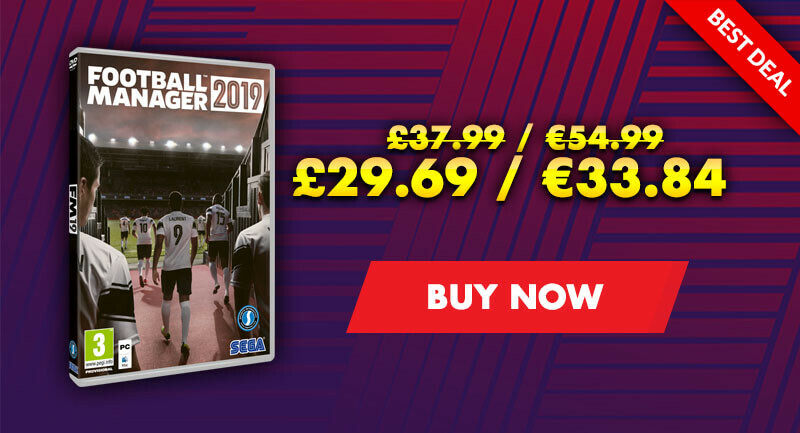 Welcome along to Arsenal FC team guide for Football Manager 2019, may it use you as a starting point if you've decided to go as Arsenall gaffer in your next save on FM2019. Relegated only once, in 1913, they continue the longest streak in the top division, and have won the second-most top-flight matches in English football history. In 2006, they moved to the nearby Emirates Stadium with the capacity of 59.867 seats. Arsenal FC is a club with great history. 13 times Premier League winners, 1 time UEFA Cup winners, 1 time UEFA Europa League winners, 13 times FA Cup winners, 2 times Carabao Cup winners, 15 times Community Shield winners. Here’s the top ten legends of the club according to the official Arsenal website: Thierry Henry, Dennis Bergkamp, Toni Adams, Ian Wright, Patrick Vieira, Robert Pires, David Seaman, Liam Brady, Charlie George, Pat Jennings. 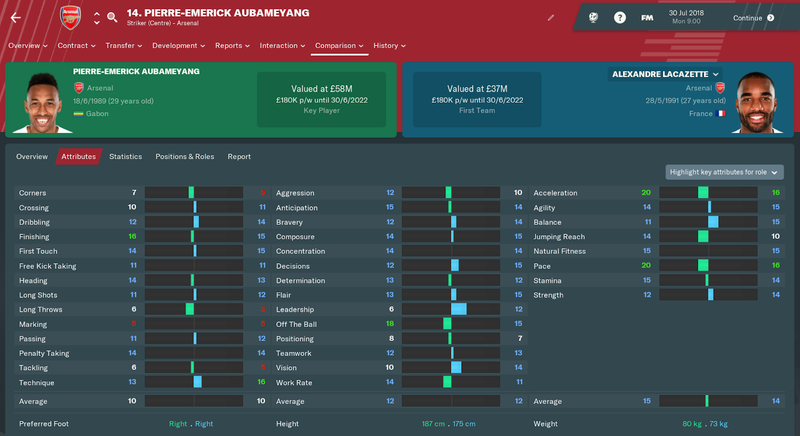 Spent: £55.000.000 to Borussia Dortmund for Pierre-Emerick Aubameyang, 31 January 2018. Received: £40.000.000 from Liverpool for Alex Oxlade-Chamberlain, 21 August 2017. Here’s the board expectations. 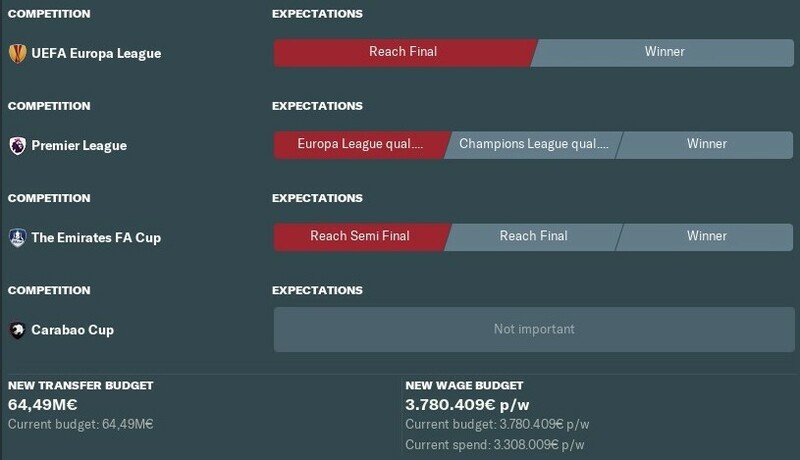 With this you will get 64.49M€ transfer budget and 3.780.409M€ per week wage budget. Emery’s formation is a 4-2-3-1 with a ball winning midfielder, winger and an inside forward. This is a classic Emery’s tactic with the ability to defend well but also attack. Petr Cech is your first choice to become your main keeper. He is an experienced premier league level goalkeeper. He has the vision and the strength to guide the defensive line. He is also the vice-captain of the club. The younger players can see him as a role model so it up to you if you will use it for your teams best. Second choice is Bernd Leno. The 26 years old keeper has all the ability to become your star. 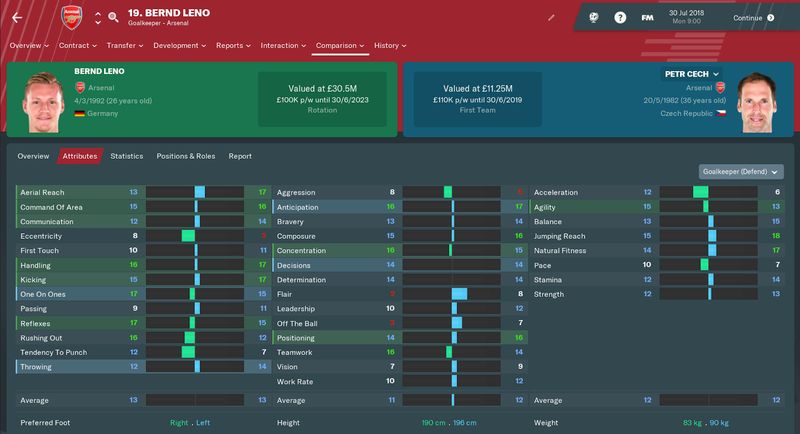 Aerial ability, jumping reach and vision are some of the attributes that make him a superb choice for your No1 position. There are plenty of choices for the Center-Back position. The clubs captain Laurent Koscielny is the main defender for 6 or so years. He is a role model and a very good player. Sokratis Papastathopoulos, the former Dortmund captain, is an amazing player. He is a marking beast with aggression and heading ability. He will be as long as with Koscielny your main pair of defenders. Mustafi is also an excellent defender. With him in your squad you add depth in your defensive line and you can make it if an injury takes out one of your defenders. Rob Holding is a very promising English player who has all the future in his hands. 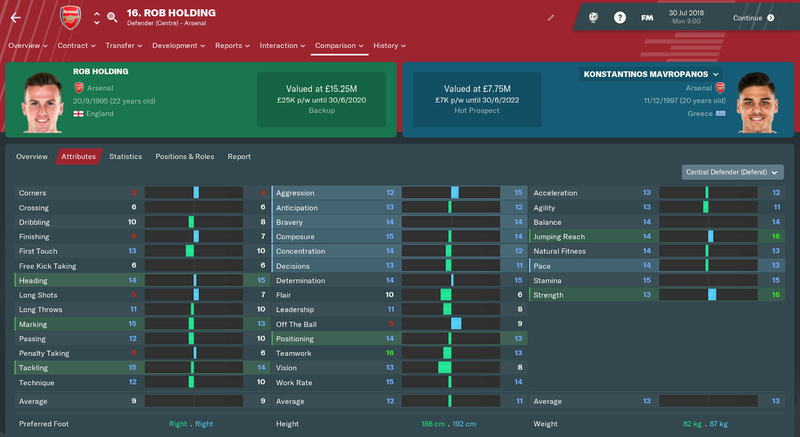 Of course, you have Mavropanos as an option as well. The young Greek is a good player but with some effort and a loan or two he can be your future main defender. For your right-hand side full back position, you have the Spaniard Hector Bellerin, Stephan Lichtsteiner and Carl Jenkinson. For the left-hand side, you have the Bosnian wall Sead Kolasinac and the Spaniard Nacho Monreal. 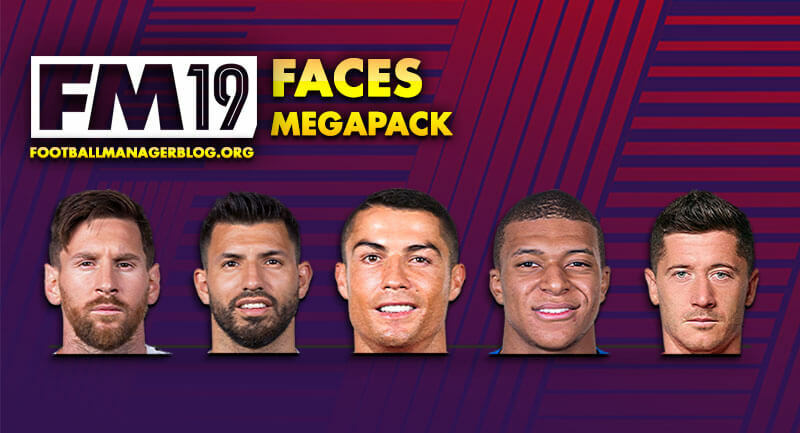 There are lots of names for the midfield positions. First of all, the new boy Lucas Torreira. Torreira’s transfer is massive because he is an amazing defensive midfielder. He adds strength, aggression and tight marking to the midfield line. Mohamed Elneny is a good midfielder with vision who can help you as a backup. Granit Xhaka is an amazing midfielder. He can score from almost every distance, he can pass and assists. Aaron Ramsey is the main star for years. He can mark and score. When the ball is hot, he delivers. Young French Matteo Guendouzi is a player with good stats. If you train him good you can make use of him even in his first year and with years pass, he will be your star. Mkhitaryan can play is the wings of both sides and assists many goals. The real star of today's Arsenal is Mesut Ozil. There aren’t many things that this guy can’t do. He assists, he scores and he take marvelous free kicks. Alexandre Lacazette is the first choice for your offensive side. 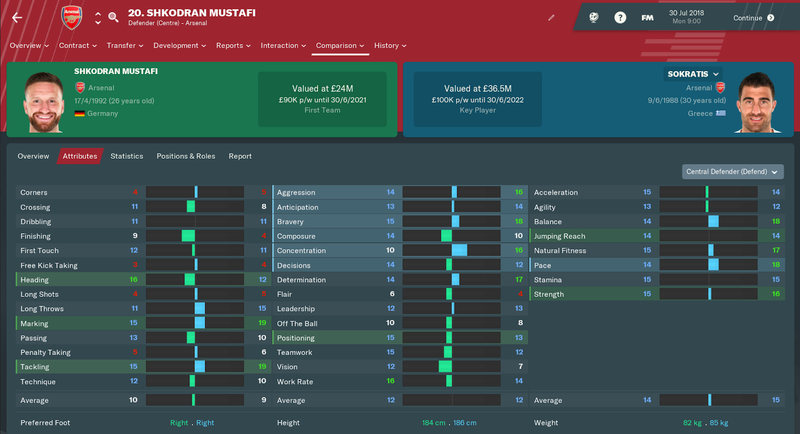 His first year at arsenal wasn’t very good. But here he is more determined to help you list the Premier League trophy. But the key player for your attacking play is Pierre-Emerick Aubameyang. The ex-Dortmund player has all the goods in one bag. He can score plenty of goals with all possible ways. Headers, shoot, free kick, penalty kick, inside the box also outside. Give him your faith and he will reply with many goals. 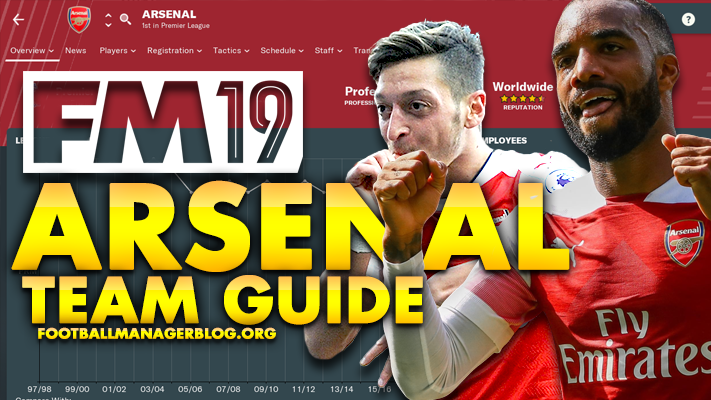 I hope you will find my guide for Arsenal FC useful guys. Best of luck and make Arsenal invisible again. 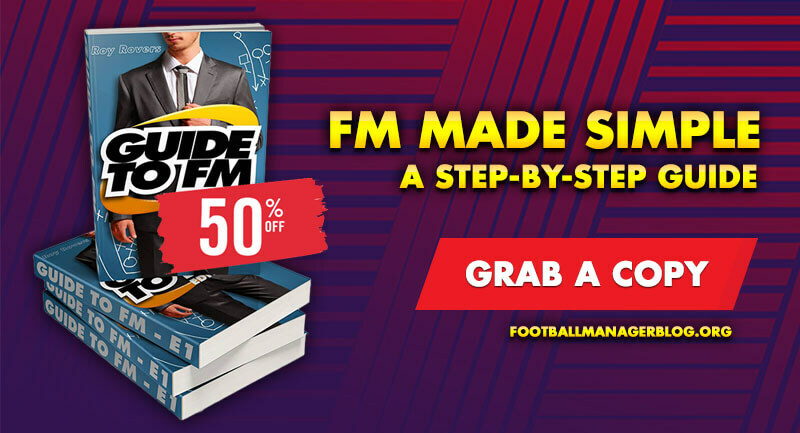 FM19 team guide of Arsenal FC Join us for the comprehensive Football Manager 2019 Arsenal FC team guide.